Identity, fear, obsession, destruction. 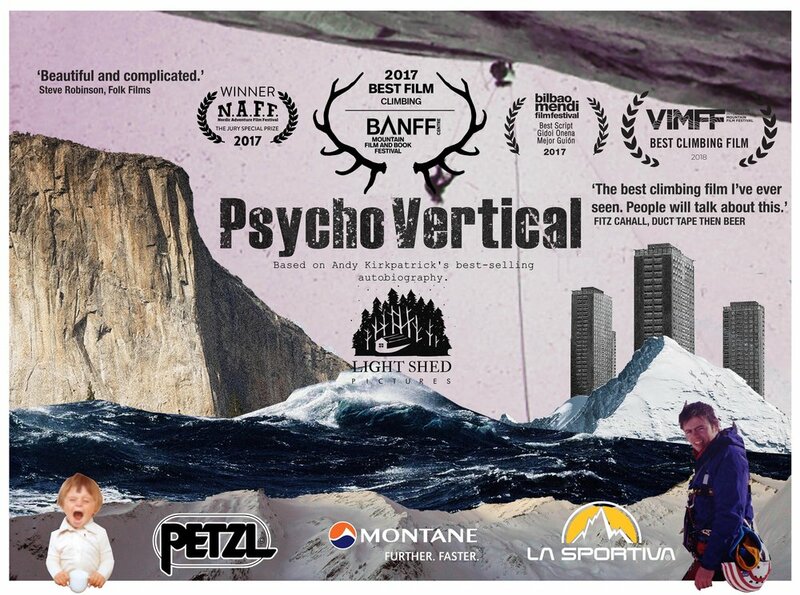 The Psycho Vertical world premiere was at Banff Mountain Film Festival where we were delighted to win Best Climbing Film. A creative documentary based on Andy Kirkpatrick's celebrated auto-biography of the same name, this is a story about conflicting identities, ambition vs security, how our pasts shape us, drive us forward and stay with us all our lives. And of course, about soloing a big wall. We have now clocked up Best Script at Bilbao Mendi Film Festival, Jury Special Mention at the Nordic Adventure Film Festival and Best Climbing Film at Vancouver International Mountain Film Festival, so keep an eye on www.psychoverticalfilm.com for information on upcoming screenings, or download your own copy of the film on Vimeo here. This year's big project is crafting the rushes from Sarah Outen's epic, human-powered, solo journey around the world into a feature-length documentary exploring ideas of home, mental health and of course, female empowerment. Our Kickstarter campaign was successfully completed with over 700 supporters, and the film should be completed in Spring 2019! At the end of May I was invited on an all-female expedition to Mongolia, from which I’m excited to have made a short film focused on weaving together our experiences in that harsh, wild landscape. This project is in partnership with Women on a Mission and She Went Wild and will be screening as part of the 2018 Women's Adventure Film Tour. Check out the trailer below, as well as a short photo essay on the trip which is available to read over at Sidetracked Magazine.